Living out here in Arizona, we are well known for interesting politics. In the aftermath of Super Bowl 49 we woke up to the introduction of an intrastate crowdfunding bill in the state house and senate. Based on the support of the business community, it is likely that the bill will pass, and Arizona will join the more than 25% of the individual states that already have intrastate crowdfunding. More is less. The proposed crowdfunding bill prevents having the problems of The JOBS Act and contains very particular provisions regarding implementation of the new law. Instead of relying on the state securities officials to make any rules, the bill itself contains page after page of specific direction. The problem is that both opponents of the bill and proponents alike will be able to find some issue with the proposed language. Does that mean that it dies on the vine because the language isn’t quite right (see SEC)? Also, because the bill is so particular, any changes would require a legislative change. This greatly reduces flexibility in the implementation of the law. If something isn’t right, you’re counting on a legislative fix. And we all know how dysfunctional legislative bodies can be. It just doesn’t matter. There have been a lot of states that have implemented intrastate crowdfunding laws. And there have been almost no deals completed under those laws. There are a couple reasons for the lack of activity. First, there is a hard time educating businesses about a fundraising concept that varies from state to state. It is likewise hard to build much media momentum when the story is so hard to tell because of the variety of laws that are on the books. 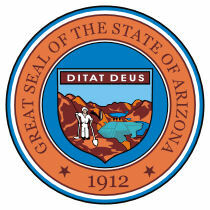 In short, it is great news that the Arizona legislature has taken up the intrastate fight. But is intrastate crowdfunding the answer for small businesses? Nope.